Katy Pietz teaches courses in Techniques in Athletic Training, Athletic Training Rehabilitation, Lower Extremity Evaluation, General Medical Conditions, and Therapeutic Modalities. 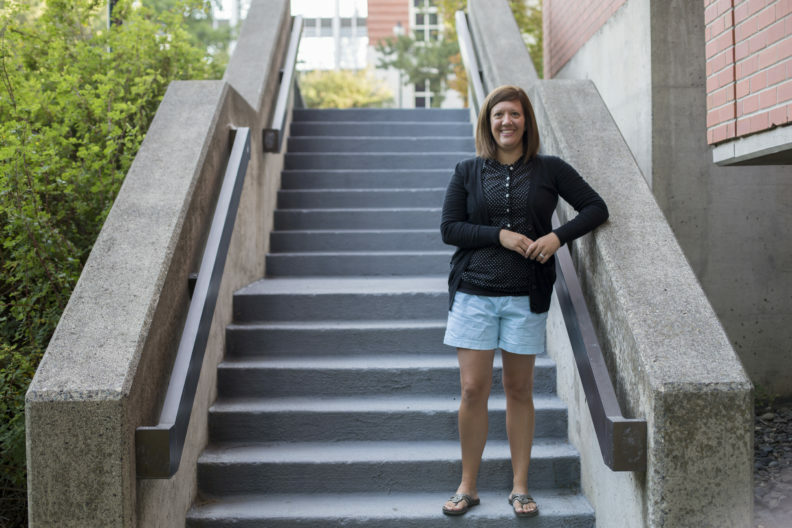 She also serves as the clinical education coordinator for the Athletic Training Program, supervising the athletic training students during rotations within WSU Intercollegiate Athletics and many clinical sites on the Palouse. She enjoys working directly with students through academic advising of students interested in athletic training and mentoring current and former athletic training students. Research interests include sports related concussion knowledge levels of a variety of healthcare providers. Mitchell, S. H., Hildenbrand, K., & Pietz, K. (2016). Emergency physicians’ knowledge of sports-related concussion referral patterns, and use of return to play guidelines. Athletic training and sports health care, 8(5), 209-215.